Highly recommend the house salad dressing.My Chinese Chicken Salad was very good. Two eggs any style served w/ your choice of bacon, ham or sausage, seasoned home fries & your choice of white or whole wheat texas toast. Eggs w/ ham & onion on your choice of white or whole wheat texas toast. Eggs, bacon & cheese on your choice of white or whole wheat texas toast. Light, fluffy pancakes served w/ butter & warm syrup. Three eggs any style, two pancakes, choice of two meats (bacon, sausage or ham), home fries & texas toast. 6oz striploin‏ steak w/ two eggs any style, home fries & your choice of white or whole wheat texas toast. Enjoy a two egg omelette, served w/ home fries & texas toast. Choose any two of the following ingredients: ham, onion, bacon, green pepper, mushrooms, cheddar cheese, salsa, tomato, baby spinach. Two poached eggs w/ peameal bacon on top of English muffins, dressed w/ creamy hollandaise sauce & served w/ a side of home fries. Two eggs any style w/ texas toast. Served w/ warm syrup & whipped cream. Choose from blueberry, cherry or chocolate sauce. Served w/ our creamy salsa dip, this fresh colossal onion is sure to please any crowd. Thick potato wedges, brushed w/ BBQ sauce, filled w/ real bacon bits & mixed cheese. Our own blend of fresh tomato, onions, garlic, olive oil & oregano, served on toasted flat bread & topped w/ cheese. A full pound of chicken wings, served w/ your favourite wing sauce. Choose from mild, medium, hot, honey garlic, caribbean jerk or sweet chili. Homemade garlic bread w/ a blend of melted mixed cheese. A traditional‏ favorite prepared w/ a crisp romaine lettuce tossed in a creamy garlic dressing, w/ real bacon bits & croutons. Sauteed onions & seasoning, gently simmered in a light broth & topped w/ homemade croutons & melted mozzarella, served w/ garlic toast. Chef's feature soup creation, w/ your choice of caesar or garden salad. Crisp spring mix tossed w/ our garnish of fresh vegetables, w/ your choice of dressing on the side: Italian, ranch, French, thousand island or our house herbed vinaigrette. One of‏ the park's specialties, created fresh every day. Ask our server for todays feature. 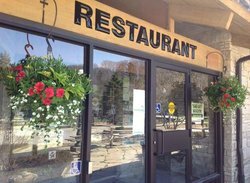 Chef's feature soup creation & choice of sandwich: turkey, BLT, roast beef, corned beef, grilled cheese or western. Crisp romaine lettuce w/ mandarin oranges, crunchy noodles, tomato, sesame seeds & garnish, topped w/ chicken in a satay dressing. Crisp romaine lettuce w/ mandarine oranges, toasted almonds, garnish & slices of grilled chicken breast, in a light honey lemon dressing. 6 oz striploin marinated in our house seasoning. Topped w/ caramelized onions, melted monterey jack cheese & chipotle BBQ sauce. All white meat breaded chicken tenders, served w/ warm plum sauce & side of our homemade coleslaw. Marinated chicken strips w/ cucumbers, tomato, lettuce & red onions tossed in a homemade creamy garlic sauce. Served in a tortilla wrap w/ a side of coleslaw. Tender chicken breast stuffed w/ baby spinach, tomatoes & bacon. Topped w/ garlic basil cream sauce, served w/ seasoned rice & vegetables. We use halibut because it's the best please specify whether you would prefer your fish deep fried or broiled. Two pieces, served w/ a side of our homemade coleslaw. Your choice of liver, hamburger, turkey or beef, smothered in our homemade gravy, served open faced, w/ a side of vegetables. Our traditional turkey dinner includes a mix of white & dark meat & vegetables. Served w/ our homemade dressing, gravy, & cranberry sauce. Two pieces of lightly battered cod w/ our homemade coleslaw. served w/ tartar sauce lemon & French fries. Broiled & topped w/ your choice of sauteed onions or bacon, served w/ vegetables. Served w/ French fries, mashed potatoes, or rice. substitute sweet potato fries, garden salad, caser salad or daily soup. homemade gravy & substitutes are extra. Grilled sliced chicken strips, our own blend of fresh tomatoes, herbs & melted mozzarella cheese, served on panini bread, w/ our homemade coleslaw. Corned beef topped w/ sauerkraut & mozzarella, served on grilled rye bread w/ our homemade coleslaw. Fresh white/dark turkey, dressing & homemade gravy, served on a kaiser, topped w/ creamy cranberry sauce. Served w/ our homemade coleslaw. The ever popular triple-decker sandwich w/ ham, turkey, bacon, lettuce, tomato & cheese. Served w/ our homemade coleslaw. 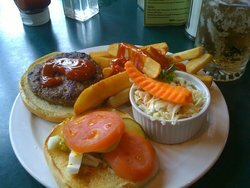 Our homemade 6 oz burger topped w/ the works: mustard, relish, onion, tomato & pickle. The ulitmate burger: two 6oz homemade beef patties & layers of cheese, topped w/ bacon & onion rings. 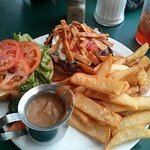 Our homemade‏ 6oz burger finished the way you like, topped w/ bacon & cheese. Our traditional hamburger topped w/ sauteed mushrooms & melted mozzarella cheese. Love Harrison park! So pretty any time of year!! Great little restaurant on site! 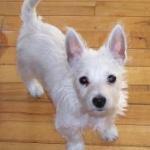 Great Owen Sound treasure!! Excellent spot for lunch in a beautiful park setting. The menu has a good selection, at reasonable prices. The staff were exceptional. Great food, friendly staff and sometimes there is live music. Prices are reasonable. The atmosphere is great also . Took granddaughter for dinner food ok nothing special expensive for what it was ,finding thier prices getting higher but quality remaining the same. 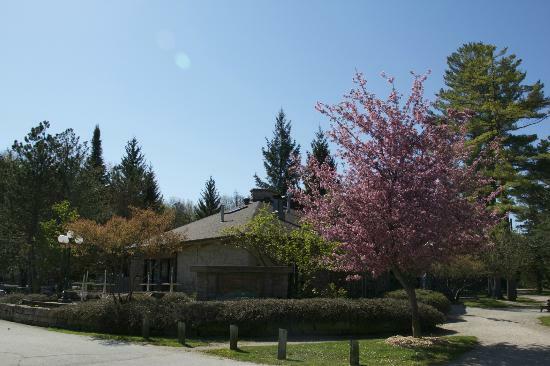 this restaurant is in the beautiful Harrison Park in Owen Sound, Ontario. Really great food, atmosphere is great. Servers are great and friendly. After lunch you can stroll the park, kids can play in the playground, mini golf, lots to see and do. Great food! We went in January when Festival of Lights was on. Very nice. Clubhouse sandwich and fries was great. 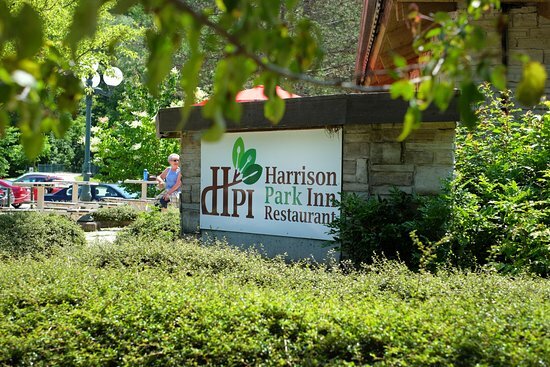 Get quick answers from Harrison Park Inn staff and past visitors. Are you open Christmas day for dinner? ?